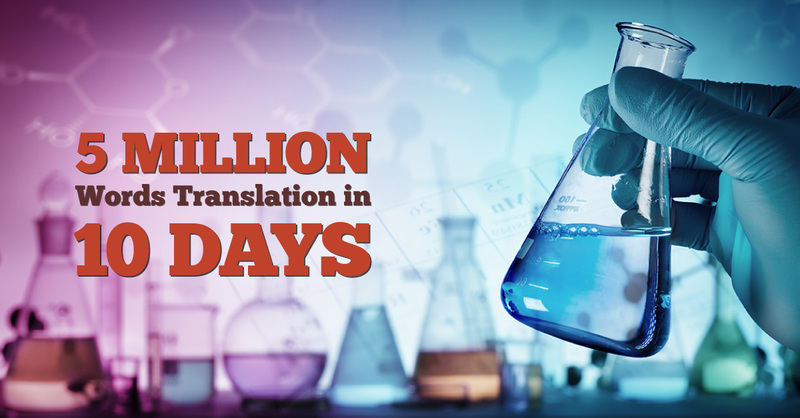 5 Million Words Translation in 10 days! The client is a top vendor from Singapore in biomedical sciences that creates and sells medical equipment. The company is a global corporate giant found in more than 20 countries and has approximately 15000 employees. The types of clients served by this business are life science researchers, pharmaceutical companies, clinical laboratories and healthcare institutions. The client needed a B2B e-commerce platform to expand the company’s geographical reach in areas where the company is thriving. The MENA expansion resulted from the client’s partnership with Future-Trans. A detailed planning session was done to take inventory of current translation processes and to identify key internal and external regulations. Commitment to establishing channels of communication and feedback which allowed the Future Trans Project Management team to expand its outreach. Collected prior translated references and glossaries to create an updated glossary of key terms. Specialized biotechnology project team functioned as a channel of communication to centralize the processing of all requests to produce real-time monitoring and premium translations. The “value beyond translation” method improved translations and allowed for better distribution of resources to stay within the anticipated budget. previous10 Reasons Why Mobile Application Startups Need Localization!